Soul’s Harbor has been treating men with substance abuse issues since 1956. We are members of both the National Association for Addiction Professionals and the Texas Association of Addiction Professionals. Both of these organizations have hundreds of treatment center members throughout the United States and Texas. Soul’s Harbor is on the cutting edge of substance abuse treatment by implementing new classes in our 6-month program that are also offered by the premier treatment centers but without the expensive cost. By year’s end, we will be adding an evidence-based module to our 6-month program. Today, we offer a holistic approach to recovery: mental, physical, emotional, spiritual and religious approaches. Our male residents have come from as far as California and New York to participate in this unique approach to long-term sobriety. We have many different ways a man can get sober and clean but the 12 step programs of Alcoholic Anonymous, Narcotics Anonymous or Celebrate Recovery are our foundation to our recovery model. Soul’s Harbor is approved as a national and State of Texas recovery home. We are now part of NARR and TROHN. The National Alliance for Recovery Residences (NARR) is a 501-c3 nonprofit and recovery community organization (RCO) that currently serves 25 regional affiliate organizations. These affiliate organizations collectively support over 25,000 persons in addiction recovery who are living in over 2,500 certified recovery residences throughout the United States. The Texas Recovery Oriented Housing Network (TROHN) is the state affiliate of the National Alliance for Recovery Residences (NARR). As such, TROHN certifies recovery residences that meet the NARR standard. TROHN’s mission is to improve the availability and quality of recovery housing options for persons seeking and sustaining recovery from substance use and related disorders. Souls Harbor offers a qualified staff to help all of those who are currently struggling with addiction. We offer qualified Peer Recovery Support Specialist to assist our clients on their road to recovery through advocacy, networking, recovery capital assessments, and helping our clients to formulate individual recovery plans. Our Recovery “Coaches” are meeting the needs of our clients. Also, Soul’s Harbor realizes the close correlation that exists between mental health issues and addiction. We offer qualified staff who are trained in mental health first aid. This training enables our staff the ability to assist our clients with mental health issues and facilitate in helping clients receive their initial treatment as well as assisting clients in a mental health crisis situation. The Spiritual Programs: Alcoholic Anonymous (AA) and Narcotics Anonymous (NA) are mandatory. The Religious Programs such as Bible Study and church service on Sunday are voluntary. Celebrate Recovery Program is a voluntary program. Soul’s Harbor is not affiliated with any Jewish, Christian or Muslim church. We welcome all of God’s children no matter what their religious beliefs. Practical experience shows us that the 12 step programs like AA, NA and Celebrate Recovery require a belief in God or in a higher power of our own understanding. Emotional Therapy is offered by an “in house” therapist and also our mental health partners such as Metrocare and ABC Behavioral Health. These providers offer both “one on one” sessions and group therapy with a licensed therapist at their facilities. The meetings with the therapist are voluntary but highly recommended. Soul’s Harbor offers mandatory classes in Anger Management and Financial Management skill seminars during the 6-month program. The “in house” therapist offers “one on one” and group sessions at our Soul’s Harbor campus twice a week including classes in relapse prevention. Anthem Strong Families is providing a six-week program to assist and educate Soul’s Harbor residents in effective communication and offering practical skills for enriching extraordinary relationships. Life skills classes like anger management and fiscal management are taught. At the completion of the six-week program, Anthem residents will be provided the opportunity to participate in an additional program to facilitate in job skills training and assistance with employment placement. The cognitive “Owner of the Brain” 4-week seminar is a very entertaining and thought-provoking seminar presented by Eddie Deen. This mandatory seminar teaches our residents how to overcome past conditioning which has lead to a self-destructive lifestyle. A great side benefit of this class is that Eddie Deen provides his world-renowned barbecue for all the men that attend. 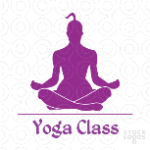 The Physical Program – We offer monthly yoga classes that help men deal with stress without relying on drugs, alcohol, and pills. This is a fun mandatory class that turns our men in human pretzels. Soul’s Harbor also provides indoor and outdoor workout facilities that have aerobic and anaerobic equipment for all the residents. The cost of our 6-month holistic recovery program ranges from $510 to $1,000/month depending on living quarters and participation in our work therapy program. Since 1956, Soul’s Harbor has reached out to the Dallas homeless population. We will always offer this recovery program, free of charge, for homeless male clients in the Dallas area. We are seeking residents who are honest, open-minded and willing to change their lives. The beauty of our program at Soul’s Harbor is that we offer a smooth transition from a reckless and selfish substance abuse life to a productive and selfless member of society. Once the resident completes the 6-month program, they can seek a job and continue to stay at Soul’s Harbor. Once they find the job, they can stay at Soul’s Harbor until the resident feels comfortable to leave Soul’s Harbor and cope with the ups and downs of sober living. Our six-month recovery program is divided into three phases. Phase One is very important in the recovery process. Phase One is 30 days in length and requires the new residents to attend evening meetings Monday through Sunday. Also, the new residents are restricted to the shelter property to facilitate a positive beginning to their recovery process. Each resident on restriction is required to give up their cell phone and automobile. Also, they must read the “Living Sober” book, pass a written test and get a sponsor in AA, NA or Celebrate Recovery. Phase Two requires the residents to attend evening meetings Monday through Friday with Saturday and Sunday programs being optional. During this phase, the resident will be encouraged to develop positive life skills. Phase Two is approximately five months in duration. During this phase, the residents will begin working the 12-step program with his sponsor. Phase Three, the last week of the program, involves a job placement phase. Resume writing classes will be offered and job placement assistance from Soul’s Harbor staff. 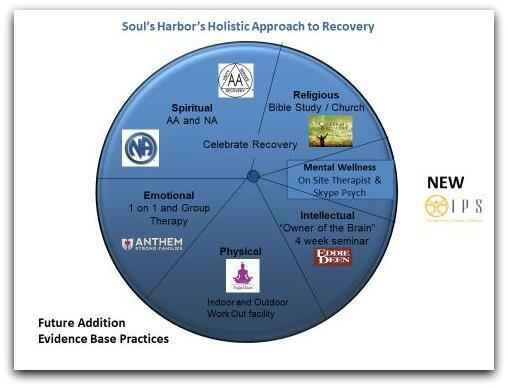 Soul’s Harbor considers successful program completion, as a resident who has completed the six-month recovery program, has a sponsor and has completed the 12 step program and then has acquired gainful employment. Upon successful completion of the six-month program at Soul’s Harbor, we have a voluntary 9 months Exit Plan which will slowly move the resident to full independence. After completing the Exit Plan, residents will receive assistance in regards to clothing, furniture, and other household materials to establish their new residence. Over 90% of our residents who complete our Exit Plan strategy are able to maintain long-term sobriety. Below is a video testimonial from one of our residents who successfully completed our 6-month recovery program. Reggie is our Assistant Director and is still working his program by being free of drugs and alcohol since April 2010. Thank you so much for your financial consideration. Note, your tax-deductible contributions may also be submitted through PayPal to gro.s1555901736allad1555901736robra1555901736hsluo1555901736s@eta1555901736nod1555901736. *Please note: Users of Internet Explorer 8 and above may experience difficulties with our PayPal “Donate” button. Please access PayPal directly to make a financial contribution to Soul’s Harbor, Inc. Thank you!